A new restaurant guide showcases the favorites, the famous and the fabulous dining spots throughout Western New York. In this updated editon, local chefs share their recipe favorites. Published by The Buffalo News, this full-color guide includes a user-friendly dining chart. Readers can discover at-a-glance restaurants that are considered "kid-friendly," establishments that have banquet facilities and businesses that offer entertainment. 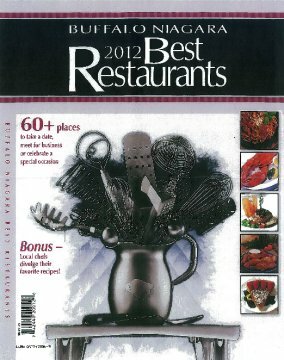 At $6.95, Buffalo Niagara's Best Restaurants: 2012 is the perfect gift for folks who love food.